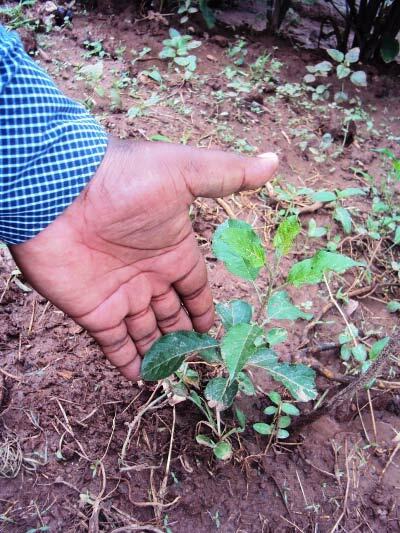 We received an updated on the Rwanda apple planting from Emmanuel Ndolimana, a pastor there who is administering the shipment we sent. He reports the trees are doing well, with Dorsett Golden being the top performer (typical for that maniac variety). 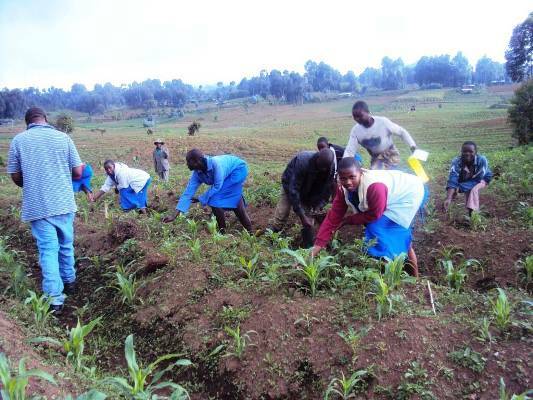 He also sent photos of the planting in the Western Province of Rwanda in Gisenyi below Kalisimbi Volcano and in some 20 Km away from the Democratic Republic of Congo border, where his chuch helps a group of widows and orphans. They all have that look to their face that they’re becoming apple nuts like me (a slippery slope). We give praise to God that we’ve been able to be a part of this, as I could have never dreamed up anything like this on my own. 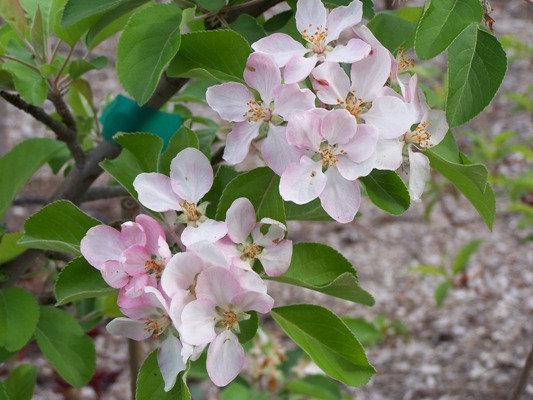 I think apple blossoms are the prettiest blossom, with their delicate colors and faint sweet aroma. But I’m afraid orange blossoms are the world champion for aroma, and they’re in full swing here right now. The fragrance is not so perfumy as it is fruity, kind of a combination between the two that you never get tired of. 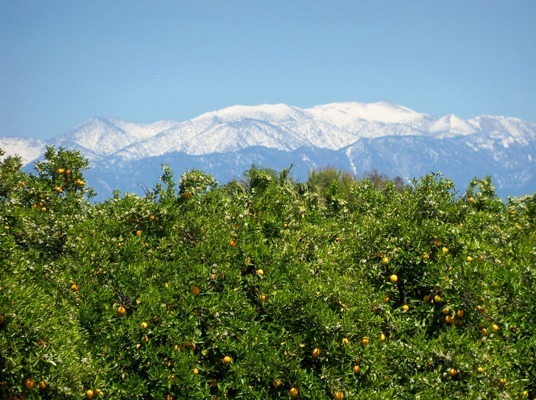 My elderly mother-in-law remembers when the city was carpeted in orange groves, the aroma permiated every home and business and they were in heaven for a month during all the citrus blooms. I have memories of our family driving out to the groves at night to watch for falling stars, cottontail rabbits hopping in our headlights. Laying there watching the stars with that smell in the air was sublime. I get the best of both worlds, with my apple trees starting to bloom accompanied by the fragrance of the neighbor’s big Valencia orange tree’s blossoms. Add the snow-capped distant mountain peaks, green hills and wildflowers, and the Mockingbird singing all night, and it is definately a Southern California spring. Saturday night had looked pretty bad for Jesus’ disciples; three days before things had gone terribly wrong. They watched the man they had followed the last three years who had healed whole towns, commanded the elements, driven out demons with authority, and brought God’s message of hope, love, and forgiveness to hundreds of thousands be arrested, falsely accused, tortured, and executed, all without a bit of resistance from him. They had thought he was the Messiah (anointed one) promised long ago by the Hebrew prophets and anxiously awaited under the brutal Roman occupation. But now their hopes had been dashed to pieces and they were sure they were next for arrest and persecution. This was an ugly, terrible end to three years of hope and faith. But Sunday morning word had reached them that some women had seen Jesus alive, and when a couple of men ran to the tomb they indeed found it empty, but could not tell what had happened. While they were meeting in a locked room discussing this, Jesus himself appeared and greeted them. To prove he was indeed flesh and bone and not a ghost, he had them touch him and see the prints of the nails in his hands. The disciples still couldn’t get their minds around this, so he asked for something to eat, and ate it while they watched. Doom and despair turned into elation and celebration, and hope went through the roof. 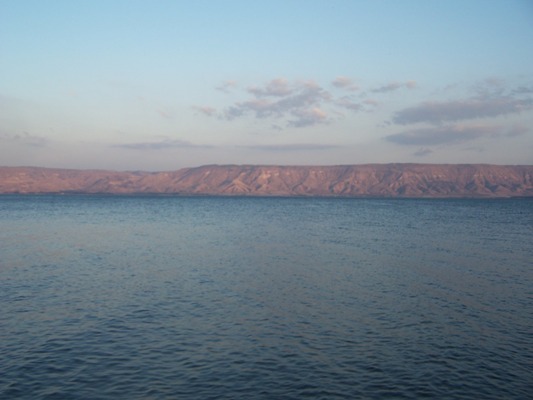 A while later Jesus appeared to his disciples in Galilee after they spent an unproductive night fishing. He miraculously provided a huge catch for them and then told them to come to shore, where he had fixed breakfast for them. He cooked some more of the fish they had caught and I can just imagine the men staring at Jesus’ nail-scarred hands as he passed the food around. They had watched him die a terrible death and watched the Roman soldier harpoon him just to make sure he was dead. He was stiff and cold as a rich disciple wrapped him tightly in linen cloths slathered with embalming ointments and put him in his own tomb. Yet he was certainly alive now and spent a good hour or two with them, not just a fleeting glimpse or ghostly apparition. This capped off a three year period where they followed him night and day and got a good, long look at the face of God, asking him questions at will and seeing into his very heart. These nobody fishermen from a Podunk down in the middle of nowhere would soon spread the message of the hope they now had, and it would rock the world forever. My prayer is that it will rock your world also.